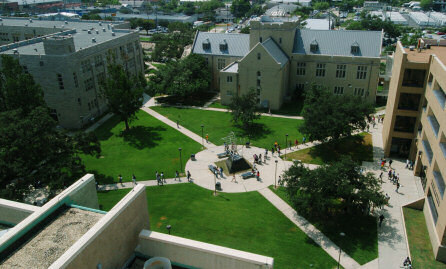 Xavier University is a private, four-year coeducational historically black university located in New Orleans, Louisiana; the campus is located one mile from downtown New Orleans. Xavier University is the only historically black college or university (HBCU) affiliated with the Roman Catholic Church. Xavier was founded in 1915 by Sister Katherine Drexel and the Sisters of the Blessed Sacrament, a Catholic order established to serve African Americans and other racial minorities. The institution was first a high school, then became a two-year normal school in 1917. Xavier became a four year college in 1925 when it opened the College of Liberal Arts and Sciences. Eight years later in 1933, a master’s program was inaugurated. Due to the rapid expansion of enrollment the campus was moved from Magazine Street to its current location just outside of New Orleans. Founded and still controlled by the Roman Catholic Church, Xavier University is accredited by the Southern Association of Colleges and Schools. Curricula from 46 academic and professional fields are taught. The University includes the College of Arts and Sciences, College of Pharmacy, and a Graduate School. Xavier is especially well-known for its pharmacy and premed programs. The College of Pharmacy is one of only two pharmacy schools in Louisiana, and produces 15 percent of all black pharmacists in the United States. In addition, more than 80 percent of the university’s premed students are accepted at various medical and dental schools throughout the United States. The Sisters of the Blessed Sacrament presided over the university until 1970 when the order transferred control of the school to a Board of Trustees comprised of both lay and religious members. Today, the bi-racial Board of Trustees continues to govern Xavier University. Fall 2009 enrollment numbers show the total number of Xavier students as 3,338. Fifty-six percent of the student body is from Louisiana, while the remainder comes from 40 states and 20 foreign countries. About 70 percent of the student body is African American, but the school offers admission to students of all races and religious affiliations. Of the 229 full-time faculty employed at Xavier University, 87 percent have earned doctorate or equivalent degrees. Notable Xavier alumni include Dr. Marie McDemmond, the first woman president of Norfolk State University, the first African American U.S. Secretary of Labor Alexis Herman, and current U.S. Surgeon General Regina Benjamin, who was nominated by President Barack Obama. Xavier University Webpage; Toni Hodge-Wright, The Handbook of Historically Black Colleges and Universities (Seattle: Jireh and Associates, 1992); Julian B. Roebuck and Komanduri S. Murty, Historically Black Colleges and Universities: Their Place in American Higher Education (Westport, CT: Praeger Publishers, 1993).